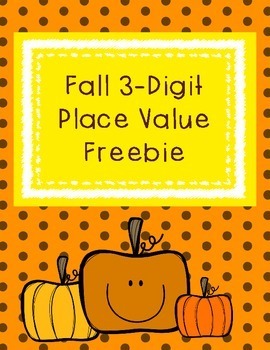 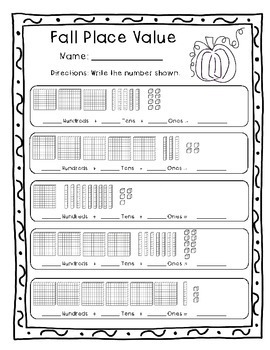 This fall freebie contains three place value worksheets. 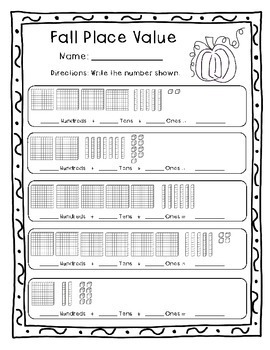 Each worksheet contains several 3-digit numbers made of base ten blocks that the students have to identify. 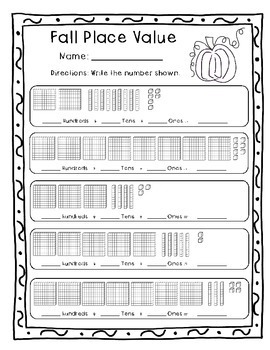 Enjoy, and please remember to leave feedback!